Richard Adams, author of Watership Down, was born in Newbury and Watership Down features his love of the British countryside. The rabbits all came from south of Newbury in the Berkshire downs. Also born in Newbury (and not deepest, darkest Peru) is Michael Bond, creator of the loveable Paddington Bear! 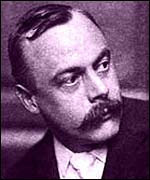 The author of Wind in the Willows, Kenneth Grahame lived with his grandmother in Cookham Deane and then spent his last years in Pangbourne and based his book on the animal life around the Thames river. Three Men in a Boat, by Jerome K Jerome, features quite a few places in Berkshire including Wargrave, Reading, Sonning and Pangbourne. Apparently 'one does not linger in the neighbourhood of Reading' according to the book! 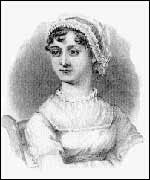 Jane Austen, of course was born and raised in Hampshire, but Jane and her sister, Cassandra both attended the Abbey School in Reading. The school has some similarities to Mrs Goddard's Casual School in Emma. Also, the most recent movie adaptation of Pride and Prejudice starring Keira Knightly, was filmed in Basildon Park in Lower Basildon. And for some near-misses... In November of 1919, T E Lawrence changes trains at Reading station, where a bag containing the only copy of his first draft of Seven Pillars of Wisdom is stolen and never recovered. Charles Dickens gave a public reading in Reading at the Literary, Scientific and Mechanics Institute (now the Great Expectations pub) at its opening in 1843. Dickens was almost persuaded to become the Liberal MP for Reading. See here for more Berkshire literary connections, including Ian Fleming, HG Wells, Percy Bysse Shelley and Arthur Conan Doyle. Wow - you have loads! 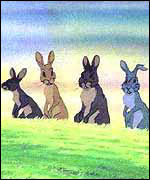 I have always wanted to read Watership Down and never got around to it. Need to look out for that one. Grew up with Paddington Bear - such wonderful memories. Ooh, that's amazing! I have Watership Down and Wind In The Willows in my reading list. Also, I'm probably the only book-lover I know who hasn't read Pride & Prejudice. I really must. I really enjoyed this post :) The place where you live has some great literary connections!